The ballet for hippo ballerinas and their crocodile cavaliers (plus a corps de ballet of ostriches and elephants) set to Ponchielli’s “Dance of the Hours” in Fantasia (1940) is one of the best-loved scenes in all the Disney animated features. Many viewers may not realize, however, that this ballet is no mere generalized parody of ballet mannerisms, but is in fact a deeply informed, affectionate parody of a famous scene choreographed by George Balanchine for the film Goldwyn Follies (1938) and starring his wife, the ballerina movie star Vera Zorina. 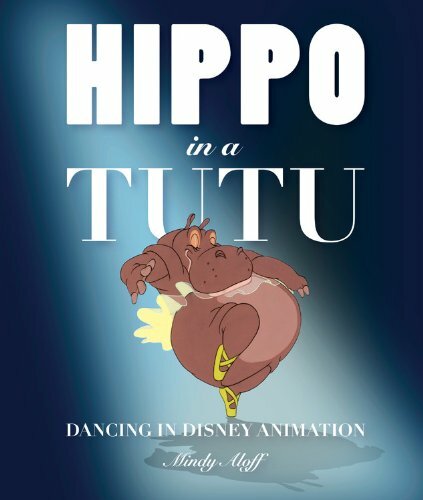 With this sequence as a point of departure, Hippo in a Tutu examines the roles that dance, dancing, and choreography play in the Disney animated shorts and features. This profusely-illustrated chronicle both analyzes and celebrates dance in the Disney studios’ work, while also investigating behind the scenes to find out how Disney’s animated dance sequences have been made.